Guess I just got lucky, went to the first minor league game of the season and managed to catch both Odubel Herrera and Cesar Hernandez making rehab appearances. I saw Odubel made 3 at bats and Hernandez 2 (they may have batted more, but as I was covering 2 games-They may have batted more.) Neither played the field. Many times in minor league spring games, rehabbing major leaguers will bat at the top of every inning until they get their work done. Today was one of those days where nothing went as planned but turned out great in the end. 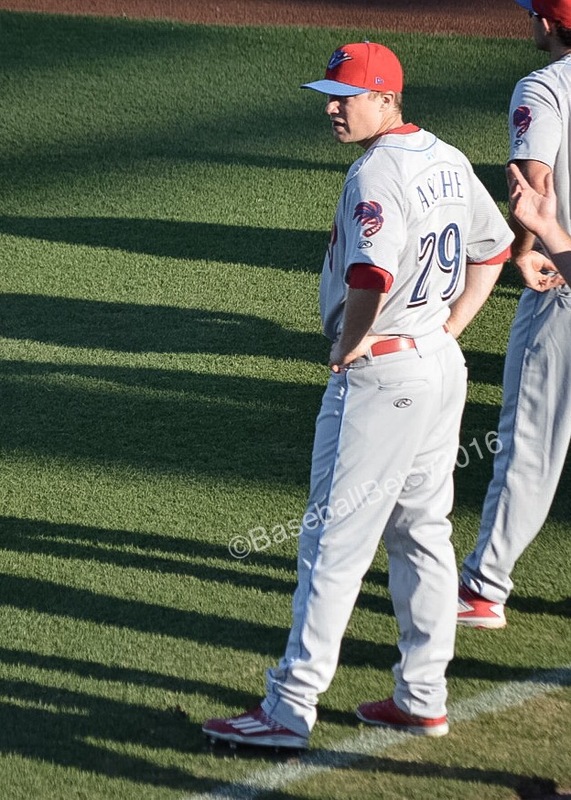 I had hoped to see former Blue Jay Pat Venditte make his first appearance at Phillies camp since being traded to the Phils from the Mariners. Since he had just returned from the World Baseball Classic, we thought that he would be at the Phillies’ complex. He was not. So I jumped in my Mini and headed back to Dunedin and to the Mattick Training Complex where the AA and AAA Phillies and Jays teams were playing. I got to the field as the Jays were taking the field in the bottom of the third inning. Just as I got behind home, the crowd rushed to the fence and when I looked up, I could see why, Josh Donaldson was about to bat. I have to pause here to say that this was one of the coldest days of the winter. Early this morning, it was 39* F (4*C) and by now, it was in the mid 50s (12.8* C) with a very strong wind coming in from the gulf, right into our faces. It was freezing. Even into that strong headwind, there was no doubt that that ball was going to go out. There was a collective, “Ooooh” from the crowd as the ball cleared the fence and bounced out into the grass near the softball fields on the other side. It was one beautiful shot INTO the wind. It was his last at bat of the day so I don’t know how his earlier at bats went, but let me tell you, he’s hit long homers into the wind the last two days, there is no doubt that his timing is down and he should be good to go, once he is given the green light to run again. 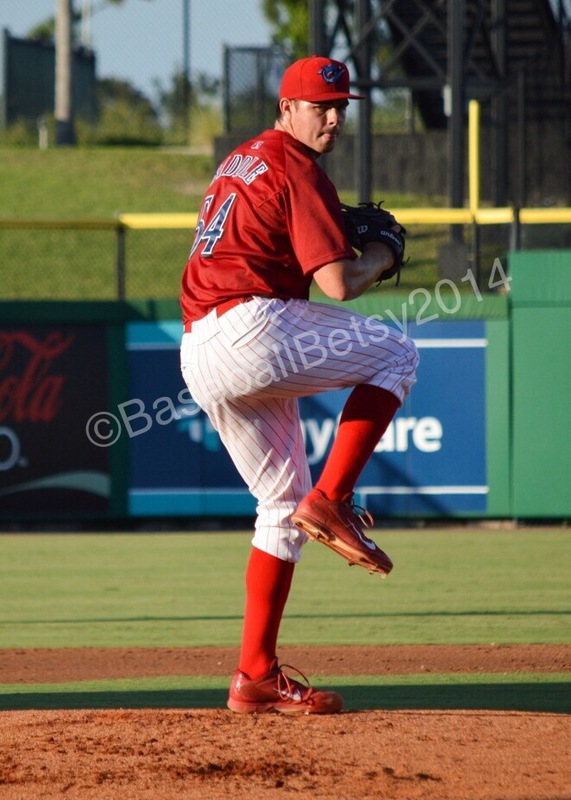 I never did get to see Venditte, rumor is that he was with the Phillies MLB team. Frankly, I forgot about him once I saw Donaldson hit that homer. I was pleasantly surprised to see my favorite Phillies fielder back in uniform tonight. 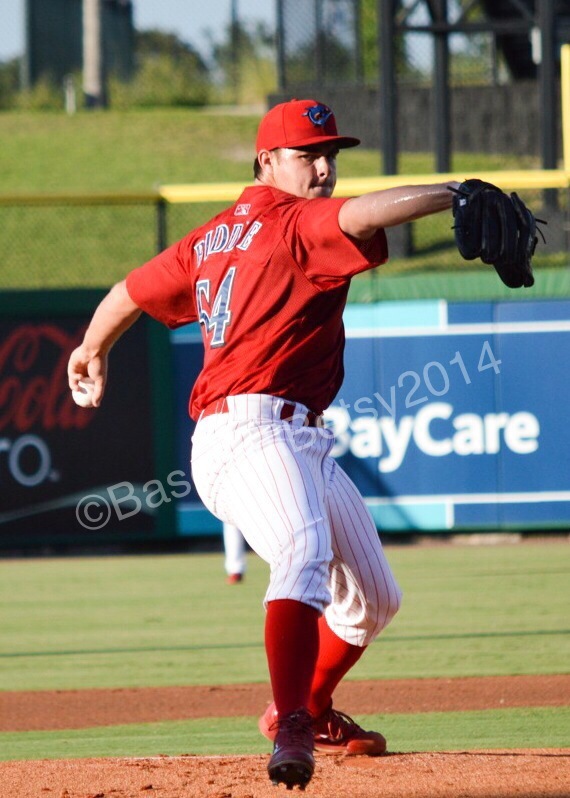 He dons the grey and red of the Threshers for the game against the Tampa Yankees. Cody is playing left and batting second. 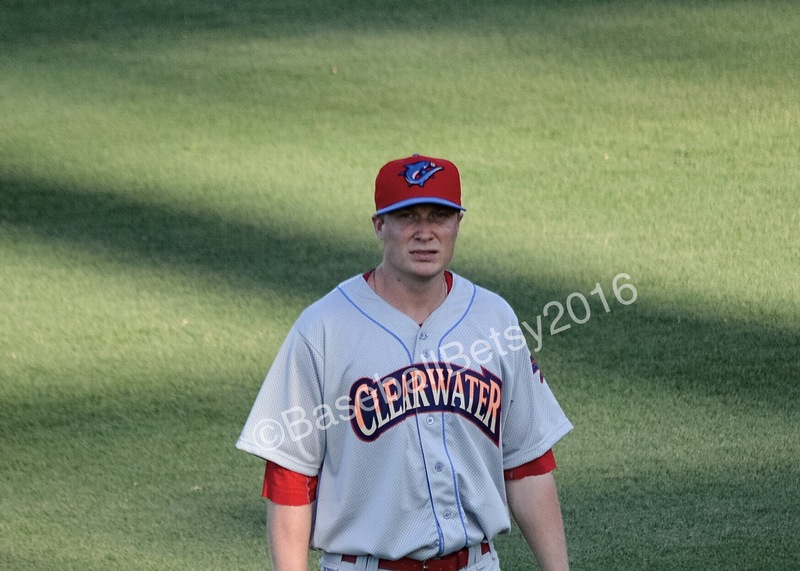 Asche had been sidelined since spring training with an oblique injury. 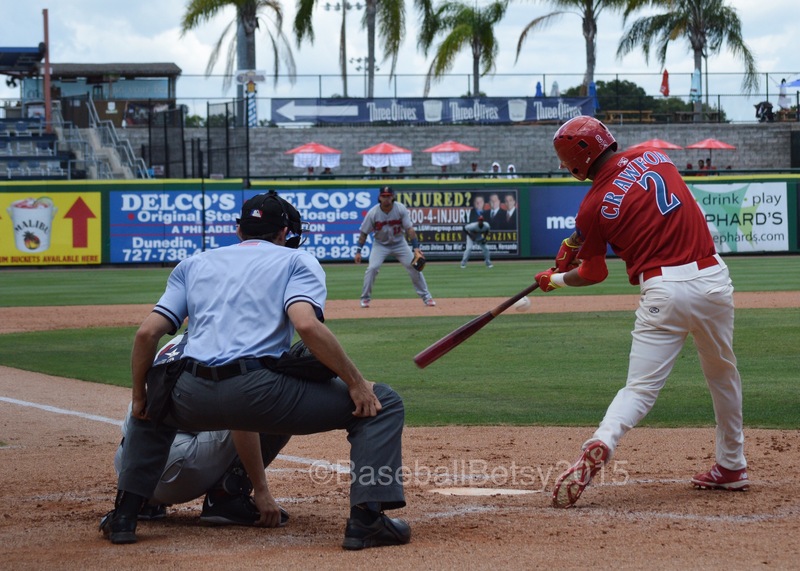 JP Crawford, 20 from Lakewood California, was the DH today in Clearwater as he ended his stint on the DL for an oblique injury. Crawford, had 3AB, 2 R, 2H, 1HR, 3RBI, 1BB, 1SO and was HBP, giving him a .667 average for the day. 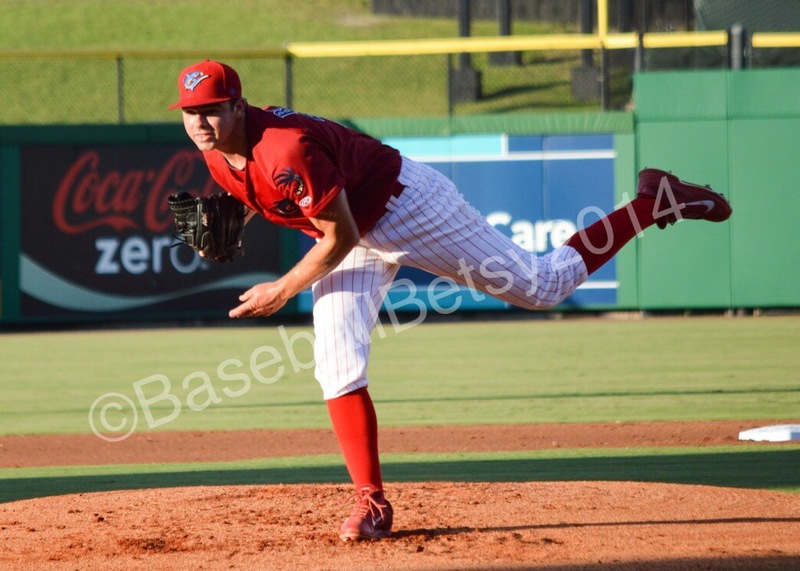 I’ve been a fan of Jesse Biddle since 2010. 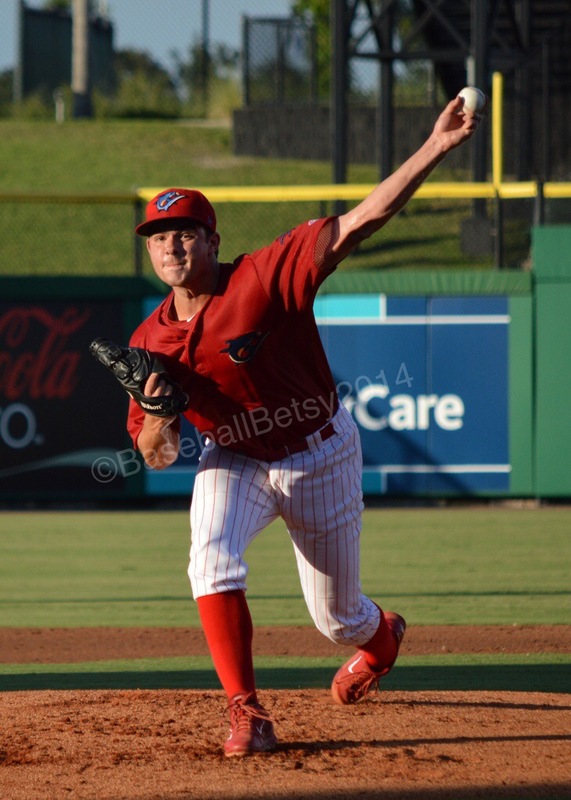 If you’ve been reading my blog, you may have read my story from Jesse’s first appearance in Clearwater… SEE HERE where I recounted first seeing him make his first professional start in Williamsport. I consider myself lucky that I’ve gotten to know him. After seeing someone pitch over the years you start to recognize their rhythm, their little habits, all the things they do before-and-after each pitch. When I saw Jesse back in June, it was his second to last start before being deactivated. He seemed tense, all the “little things” seemed off, nothing you’d notice if you’d hadn’t been watching him for years. Tonight, Jesse was different, he was like that Jesse I’ve known all these years. His confidence was back and all the little habits are just as they were when he was here in Clearwater back in 2012. Jesse was great! At he end of the fifth inning when they pulled him, he had a no-no going: 5 IP, 0 H, 0 R, 0 BB, 5 K.
It was good to see my friend doing what he is capable of doing. I really enjoy watching him succeed.